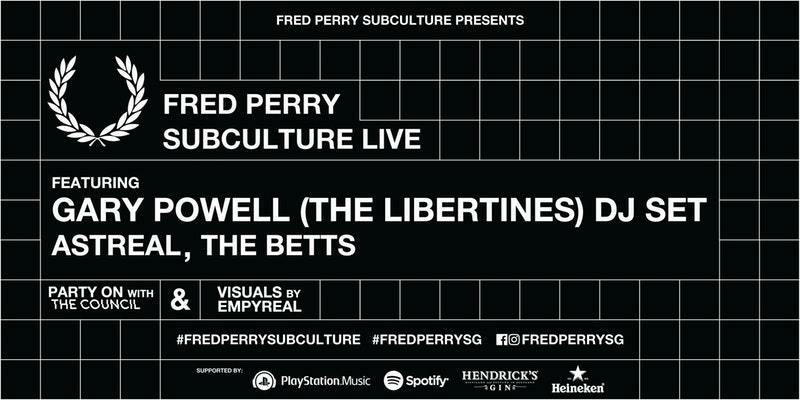 Fred Perry has returned with its gig series, Subculture Live, after last year's edition with a headlining DJ set by Friendly Fires' Jack Savidge. This time, the honorary DJ slot will go to Gary Powell, drummer of landmark Brit rock outfit The Libertines. Singaporean bands Astreal and The Betts will be performing live sets — all accompanied by the vaporwave and glitch-infused projections of artist Empyreal. An after party has been lined up by The Council, with sets by Yadin Moha, CATS ON CRACK, Jaime React and Julien Brochard, starting from midnight. All of this is happening at Esplanade Annexe Studio on October 13th. RSVP for free entry here. Tickets for The Council's after party, which cost S$20, can be found here.